This sublet office space offers tenants with a truly unique working environment to enjoy. With the opportunity to work around a successful company and a premium atmosphere, you will have everything you need to succeed. Located in the Mahwah area, tenants will have access to many of the area's local restaurants, bars and activities. A long list of amenities provides you with all of the tools needed for productivity. 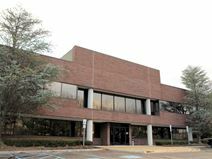 These offices are to let in Bergen County. There are many onsite facilities, such as banking, restaurants and shops. The centre is located in beautiful settings. Offices come equipped with a number of services and use of the many meeting rooms.